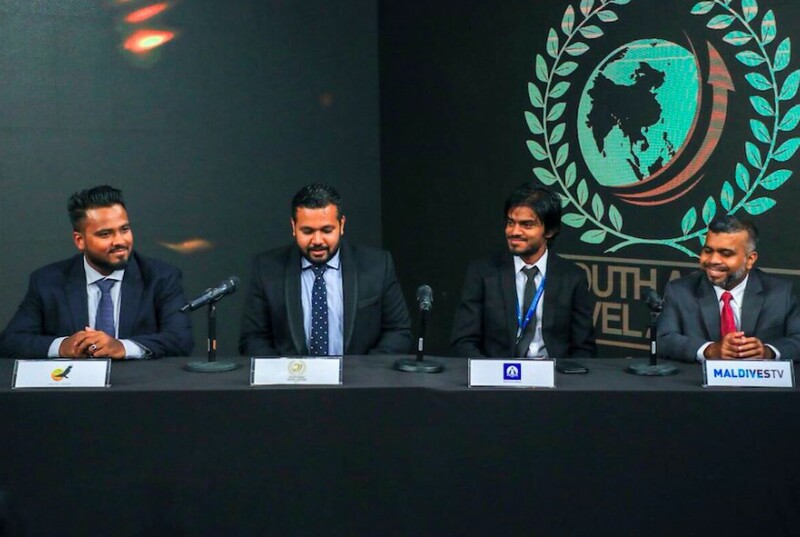 The Hawks Pvt Ltd and Allied Insurance Company of the Maldives have signed up with the South Asian Travel Awards (SATA) as their Gold Partners. After the Signing ceremony held at Maldives capital Male Thursday afternoon, a small press conference was held with the SATA team and their Maldives Partners where Mr. Mohamed Shamin Ali, Director of Communications of SATA gave a brief introduction of the South Asian Travel Awards and how the event will be held as a 2 day retreat in Mumbai. “SATA nominations have increased from 270 to 500+ nominations in two years.” Explained Mr. Shamin. Speaking at the press conference, Mr.Hussain Aman, the General Manager of The Hawks Pvt Ltd, highlighted the benefits his company has gained in partnering with SATA. “SATA team has created a platform to have one-on-one meetings with potential clients. We are proud to partner with SATA for the second year.” Said Mr. Aman. Allied Insurance’s Marketing Manager Mr. Niushad Shareef thanked SATA for giving the opportunity to promote Allied’s travel products to a wider audience while drawing attention to the importance of travel insurance for all travellers and encouraged the hospitality and tourism industry to reap the benefits of travel insurance. UAG Marketing of Sri Lanka and Asian Geographic has signed up with SATA earlier as Silver Partners.